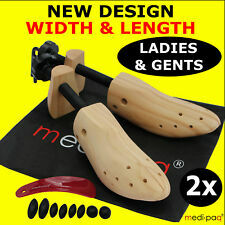 Premium SHOE STRETCHER x2 * Men, Womens, Child & High Heel - Lengthen AND Widen! 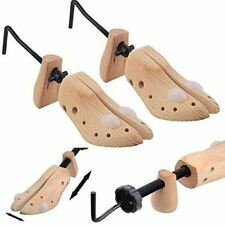 SHOE STRETCHER Trees x 2 * Bunion Mens Gents + Womens Ladies Lengthen AND Widen! Quantity: 2pcs. Your kind understanding and patience will be highly appreciated. IWe will reply you ASAP. Made of high quality material, solid and durable in use. It is used inside a shoe to preserve its shape, and stop it from developing creases. Shoe tree is a nice way to extend the life of your favourite shoes! 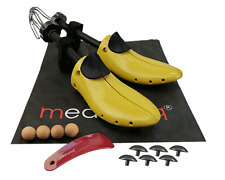 EASY TO USE:Just place shoe stretcher in shoes and leave for 24-48 hours,the shoes will stretch. This Premium Professional 2-Way Shoe Stretcher transforms any pair of shoes into perfectly fitting, comfortable't spend weeks breaking in new shoes! · This is an excellent value 100ml can and requires just simple spraying to inside and outside of the leather. · 100ml Foot Pain Relief, Foot Comfort, Very Quick, Easy and Effective Application. · PUNCH Shoe Stretch Spray/Boot Stretcher/Leather Shoe & Boot Softener/Pain Relief. Excellent value 100ml Punch Stretch. Simple spraying to in/outside of leather footwear before wearing. Will effectively allow leather to stretch as your feet rub against it. Much cheaper and practical alternative to wooden shoe stretchers. Capacity: 200ml. Much cheaper and practical alternative to wooden shoe stretchers. - Republic of Ireland. Shoe Stretcher. Each Stretcher presents with two appointed fittings. -One piece can stretch one shoe. -Fit left and right shoe-. Material : Pine, Steel, ABS. Size : 250-270mm. Shoes Shapers help keep your shoes in perfect shape when not in use. 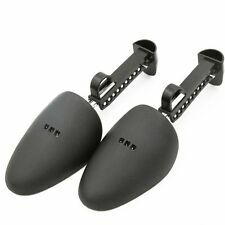 1 Pair Shoes Shapers. Used to maintain the shape of your shoes to avoid creases. Can also be used to display different types of shoes. 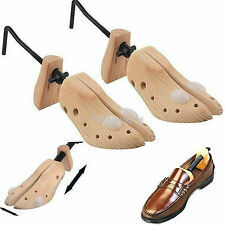 Shoe Stretcher Spray Relieves Tight Fitting Shoes. Leather Softener 200 ml Softens leather, suede & canvas footwear! - Channel Islands. Dasco protector stain & water & snow 200 ml. Pavers cleaner & protector 200 ml. Shapers are about 33 cm long, total length is 41cm. NOTE: color is randomly sent. 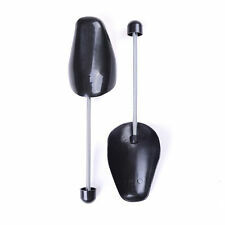 1 x Pair Boot shaper Packed in paper box NOTE: color is randomly sent. Brand Unbranded MPN Does not apply UPC 191466577943 EAN 191466577943 ISBN 191466577943. Shoes Shapers help keep your shoes in perfect shape when not in use. 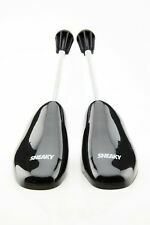 1 Pair Shoes Shapers. Type: for Male. Color: At Random. Used to maintain the shape of your shoes to avoid creases. Can also be used to display different types of shoes. Shoes Shapers help keep your shoes in perfect shape when not in use. 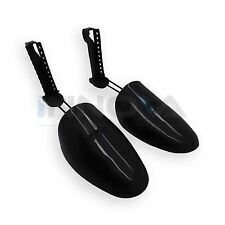 1 Pair Shoes Shapers. Color: At Random. Made of high quality plastic, durable in use. Used to maintain the shape of your shoes to avoid creases. Shoes Shapers help keep your shoes in perfect shape when not in use. 1 Pair Shoes Shapers. Color: At Random. Used to maintain the shape of your shoes to avoid creases. Can also be used to display different types of shoes. Softens leather, suede & canvas footwear! Looking for new Clothes?. Superdry is having the biggest sale of the year don't miss out! Student Essentials Get everything you need for Uni from Argos. Shoes Shapers help keep your shoes in perfect shape when not in use. 1 Pair Shoes Shapers. Color: At Random. Used to maintain the shape of your shoes to avoid creases. Made of high quality plastic, durable in use. Pair of metal Vintage Skyline shoe horns/stretchers.Made in Burnley, England. Shoes Shapers help keep your shoes in perfect shape when not in use. 1 Pair Shoes Shapers. Note: The real color of the item may be slightly different from the pictures shown on website caused by many factors such as brightness of your monitor and light brightness.